Starting an online business from home is not as hard as you think; the moment you decide to work from home, you can start setting yourself up. It will be more beneficial if you know what should be prepared for at the very first stage and what kind of things can wait until a later date. Agree? Like any other businesses, your online venture will grow continuously through tests and trials. But you don't want to waste your time by making unnecessary preparations too quickly too soon. There are millions of valuable business tips & advice - listening to them randomly and trying every possibility from the day one is not the best idea. It'll be a diversion. You want a shortcut, right? 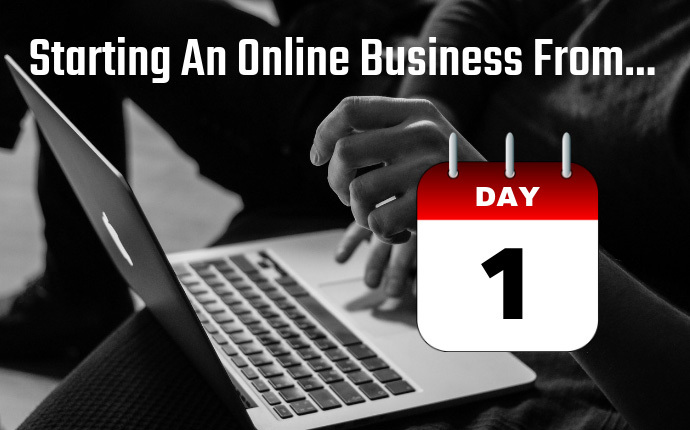 So here is a guide to starting online business. 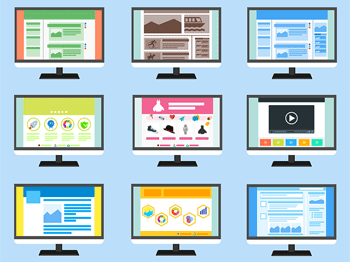 Either of them can be started today - the next thing you're looking to do is to build your own website for your business, but a good preparation will be needed first. 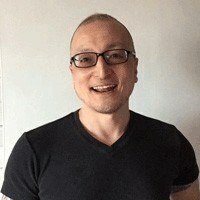 The actual marketing knowledge and technique can be learned as you go along, but there are a few things that should be sorted sooner than later. So the second 'obvious' thing to do is to decide a niche. What kind of products or services you want to promote as an affiliate, or sell at your online store as a drop-shipping. For drop-shipping, almost any products that are sold in, say, Amazon or Walmart can be drop-shipped. For affiliate marketing, there is a limitless of possibilities. Almost anything in the world can be used to promote products. If you love driving, you can find car manufacturers or car-accessory manufacturers who offer an affiliate scheme. If you have a great knowledge in astrology, you can become an Amazon affiliate and promote related books (and receive a commission upon sale). If you suffer from a certain illness yourself and know how to deal with it, there are related books, herbal medicines or special medical instruments to promote. The most important thing is that you choose a niche that you love and have a good knowledge of, otherwise no one will buy your story, and you'll get bored of the niche and quit. For example luxury jewellery is one of the most profitable affiliate niches. Potentially you can make tens of thousands of dollars worth of monthly profits from it, if not weekly. But I don't wear bling myself, I'm not interested. If I was to promote jewelries on my website, I'd have to study a lot about them and yet, my readers would still be more knowledgeable than me. I might grow a mediocre level of interest as I keep going but the chances are that I'll be bored before I can get the business on the right track. So the golden rule is, always choose a niche that you've felt passionate about for a while. Branding is one of the key elements to make your business known. You don't have to create a business name, but you can use your name (like a fashion designer). If you create a business name, it doesn't have to be a niche-related name (like Amazon.com is not related to the Amazon forest) as long as it's not confusing. Website name (URL) is slightly different - it depends on the availability. There are so many TLD's (top level domain suffixes) are available such as .net .org .info .co .xyz, etc. But I would still strongly suggest that you should go for .com. Domain names with .com that are available can be hard to find, but think about making up a word; many social media sites have unique names, such as YouTube, Facebook, Instagram and so on. 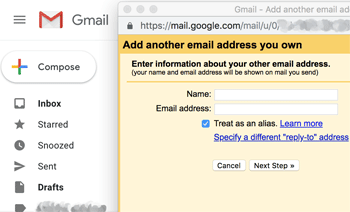 Open 2 x Gmail accounts. One to forward your business email (e.g. info@mybusiness.com), another one for ad-hoc signup purposes. Gmail is advisable because it's secure & reliable, fairly east to integrate with email accounts provided by web hosting services, and Gmail is most used by online entrepreneurs. When you open your business website (e.g. www.mybusiness.com), you will also set up your email address, ore more than one address (help@mybusiness.com, ray@mybusiness.com, etc). By forwarding these addresses to your Gmail account, you can send and receive via your Gmail screen. Open another one for ad-hoc purposes. As a new online entrepreneur, you will be joining A LOT OF networks; affiliate programs, internet marketers' forums, training sites, graphic tools, SEO tools, social media apps... Believe me, you'll be signing up with so many services. You won't want to mix those with your private emails. So this is definitely something that you should do at very early stage. Just open 2 x extra Gmail accounts now, and they'll come in handy later on! I just said you'd be signing up with a lot of online tools, etc. Of course each time of which will require you to set a password. You will soon have an account with so many sites, and if you don't manage it from the beginning, things will be very messy. Meaning that you might not remember which sites you've signed up with, what username or password you used to sign up. You might have been doing this already, but each time you sign up with a new site, let your browser save your password, and make sure to bookmark it. Organise the bookmark bar by creating folders by category. For example, make a new folder and name it "Affiliate". Save all the affiliate networks under this folder. Another folder named "Social Media" can have all your social media accounts, etc. There are a couple of disadvantages, by the way. You're saving those only in your browser, obviously it'll be in no use when you use a different browser or a different computer. Also if you already have a lot of bookmarks for your private use, adding more bookmarks for your business use may not be a good idea for you. Still organisable though, for example by creating a folder named "Private", then by creating sub-folders within by category. This is what I do. I use a password manager app called Dashlane. It creates and stores a random, very strong password every time you sign up with a website and allow you to organise the sites by category. 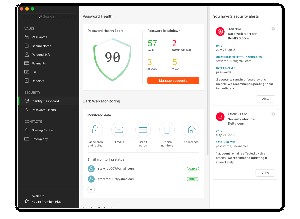 The free version will store up to 50 passwords, while the premium version ($40 per year) will store unlimited number of passwords and sync between your devices. I don't have to open up a web browser first, but I can log in to any sites via this app instead. I find this password manager app extremely useful. Take a look if you're interested from here. 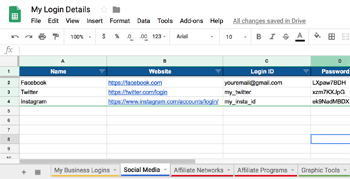 Use Google Spreadsheet to save your login detail. It will be a manual process, but it's handy to have all the detail in your Google Drive wherever you go, and whatever device you are on. Of course it doesn't have to be a spreadsheet - you can save your detail in text file, and keep it in a different cloud storage. But spreadsheet is useful because you can sort the list in alphabetical order. I've just made a simple template for you - free to download. Simply save a copy in your Google Drive and make sure it's only visible to yourself. Soon you will be engaging with your social media followers, by posting your campaigns, blog articles, etc. Obviously the more followers you have, the more effective your campaigns will be. So you can start building your networks sooner than later. Webtalk - try if you haven't!